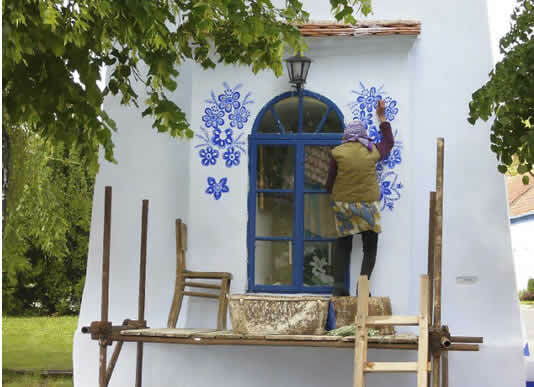 A 90-year old retiree, Agnes Kasparkova spends her days painting beautiful floral designs on the houses in her small village known as Louka in the Czech Republic. 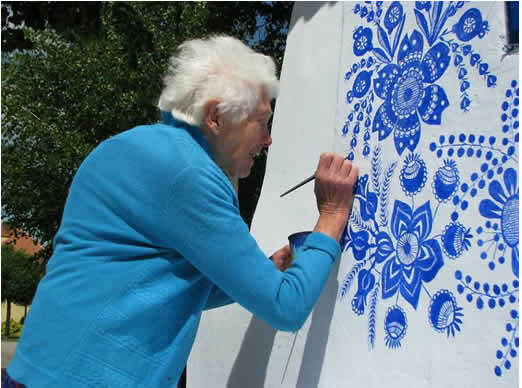 The grandma who is a former agricultural worker picked up the painting as her retirement hobby. According to UK mirror, Kasparkova picked up the hobby from another old woman who was also doing the same volunteer work before she passed away. 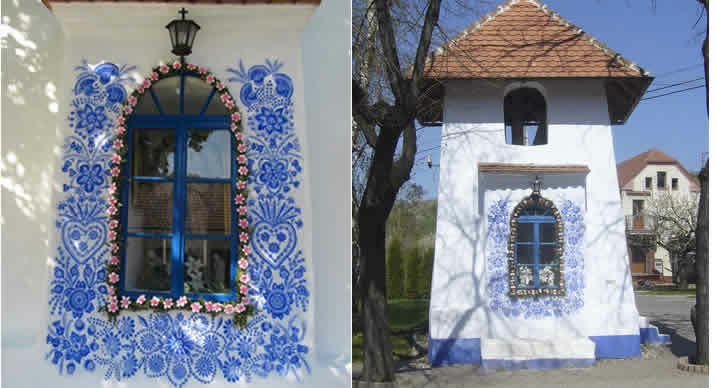 She uses vibrant blue paint and a small brush to create intricate floral patterns inspired by traditional Moravian (southern Czech) artwork. 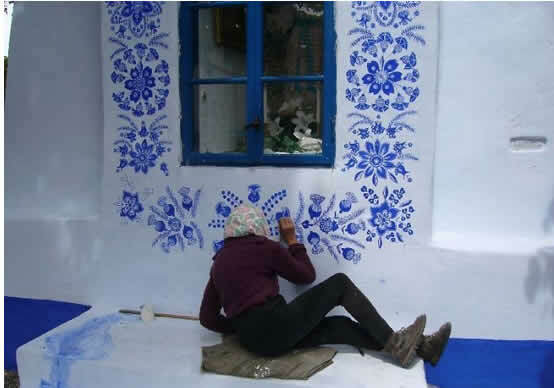 Her good works attracted so many people and gifts but she insists that she just enjoys doing it.